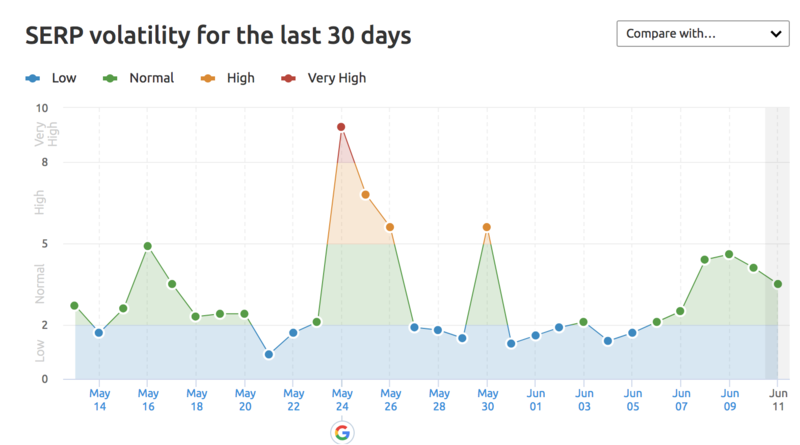 Google Algorithm Update On Friday, June 8th? Home > Google News > Google Updates > A Google Algorithm Update On Friday, June 8th? There is some chatter starting around Friday, June 8th, in the ongoing WebmasterWorld thread about a possible Google algorithm update or shift starting Thursday night into Friday and throughout the weekend. The chatter is not as high as a normal Google algorithm update, so either this is a limited update, some sort of penalty or filter impacting a niche set of sites or some weird bug. But some of the tools, along with the chatter, warrants me reporting about these fluctuations in the Google algorithm. Check your analytics and ranking tools - see if you notice any changes over the past few days or so.